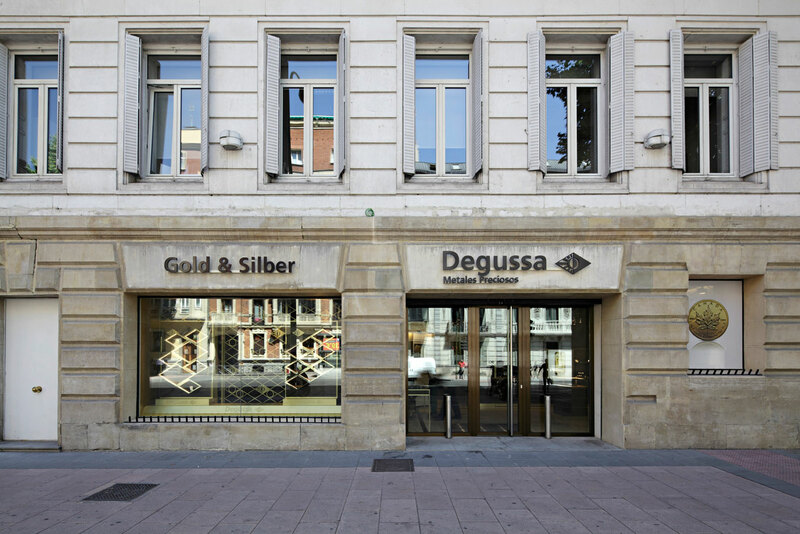 Within the new Design of the branch office of the Degussa Goldhandel GmbH in Madrid we created a novelty in the market. 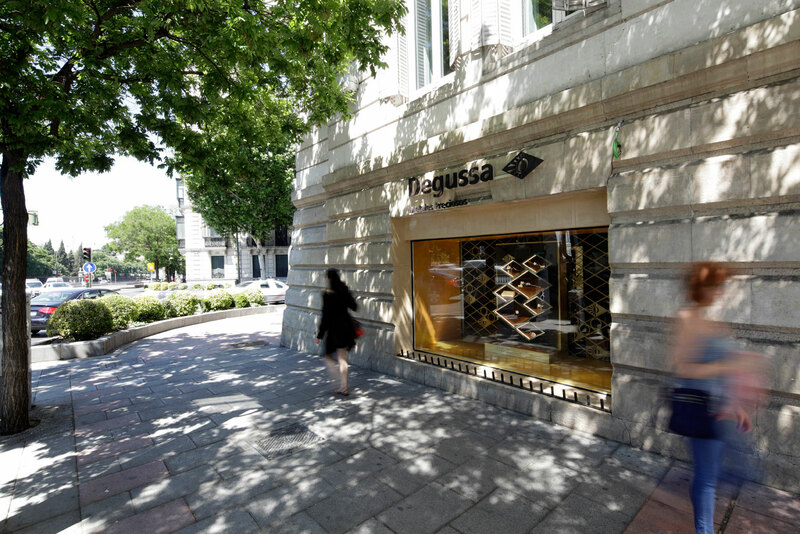 Attracted by the shop windows the client enters a noble and specific Retail World, where he can find in golden framed vitrines an exclusive and well-spaced exhibition of precious metal bars, coins, rare collector´s items, special collections, limited pieces and the so-called „emotional products“. 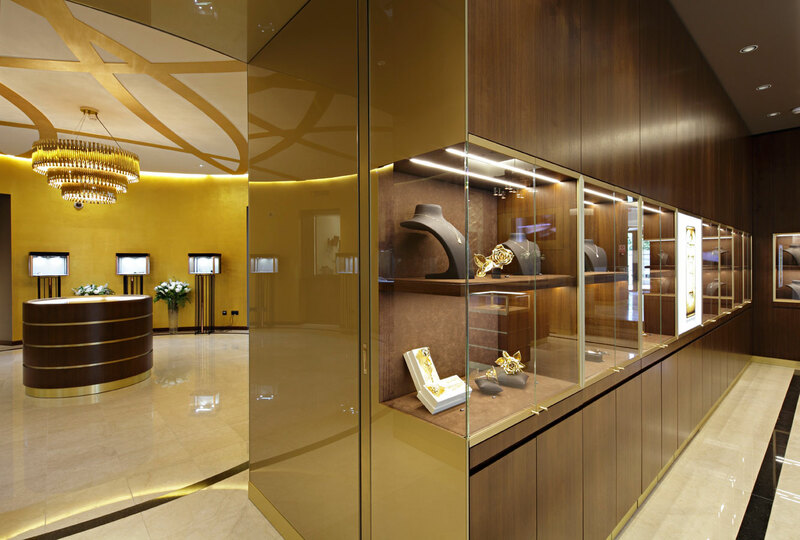 Wall panelling of delicate nut wood vaneer, frames made out of solid brass, floors made of Botticino and granite, tailor-made leather furnitures, elaborate golden covered walls and selected chandeliers will make the gold purchasing to an extraordinary experience. 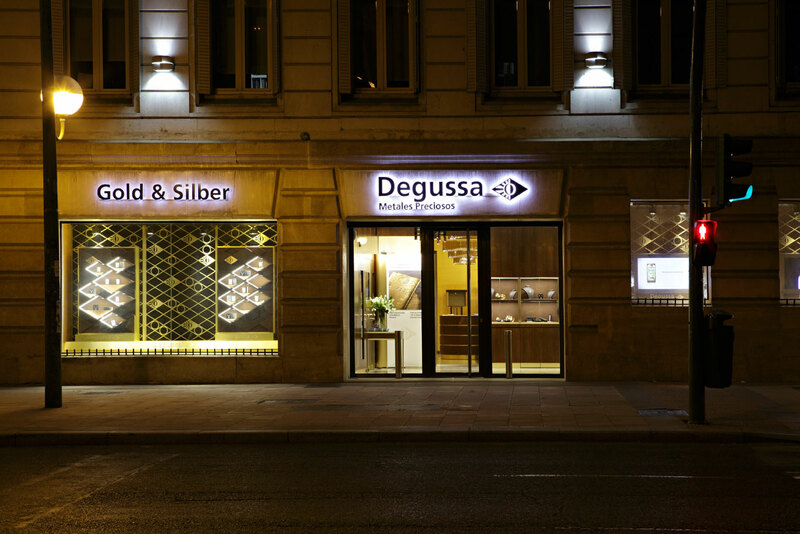 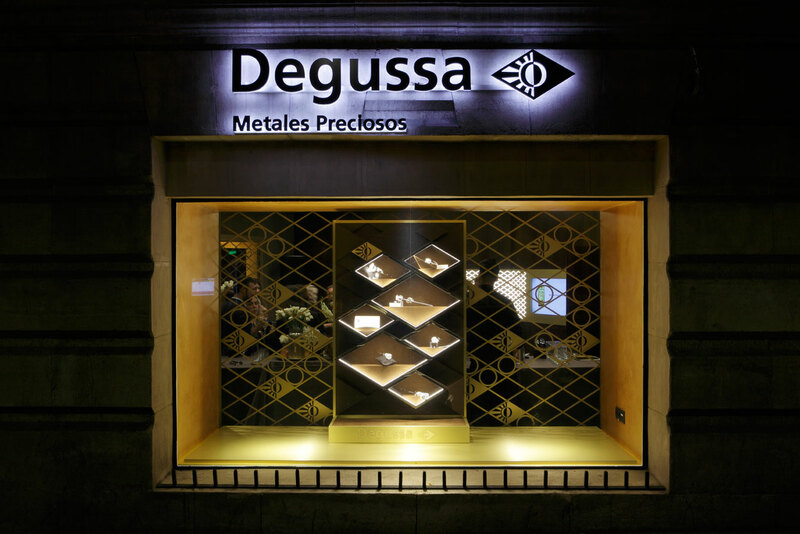 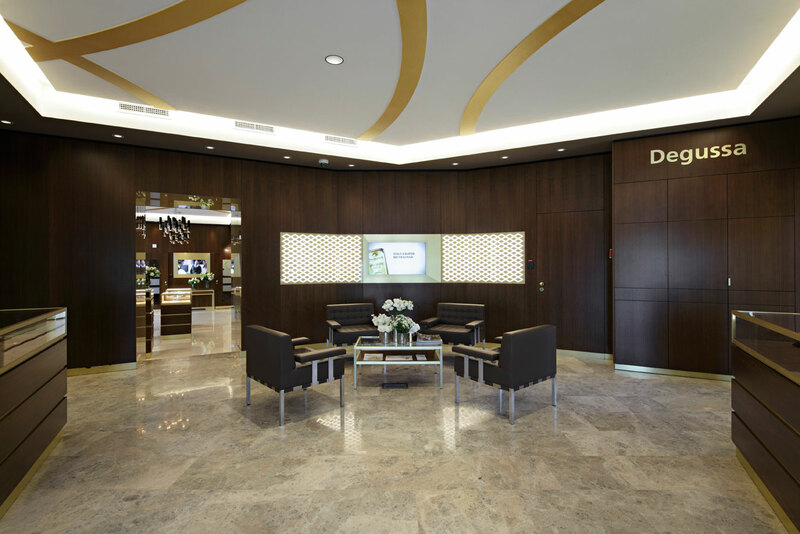 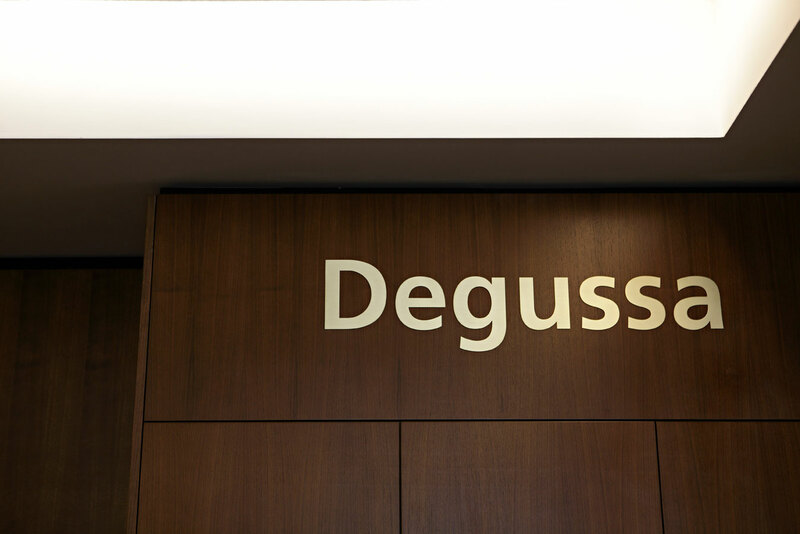 The Design of the Degussa Store creates a memorable and recognizable Brand Identity. 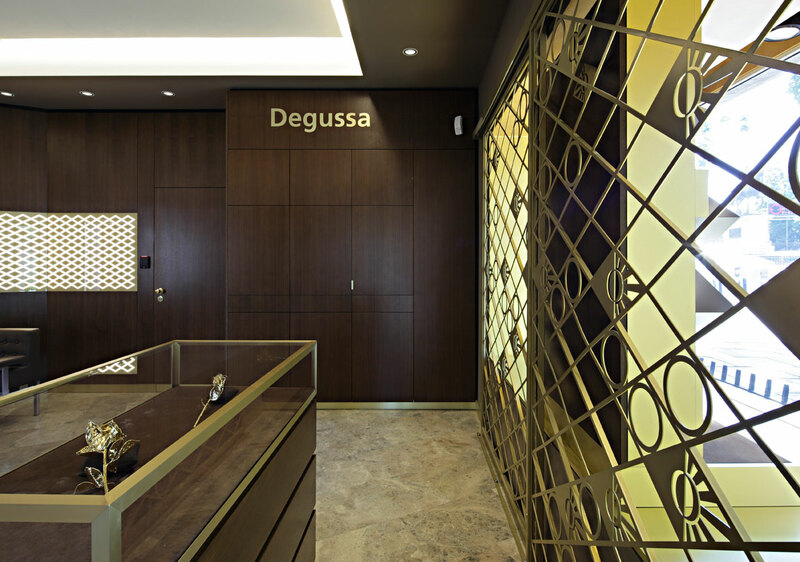 The Brand Values, like quality and consistency, will be threedimensional manifested, within the noble materials, the transition-free workmanship of wall panelling and furniture installations, the iconic usage of the brand logo and the timeless classic design vocabulary. 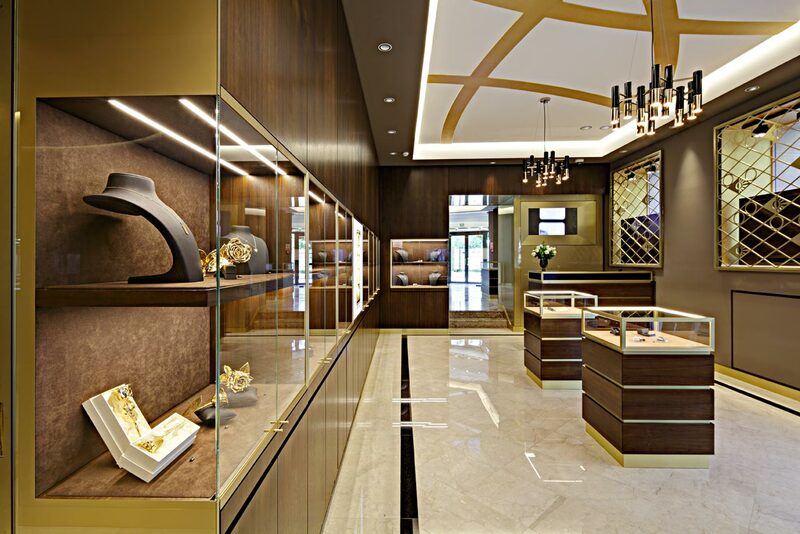 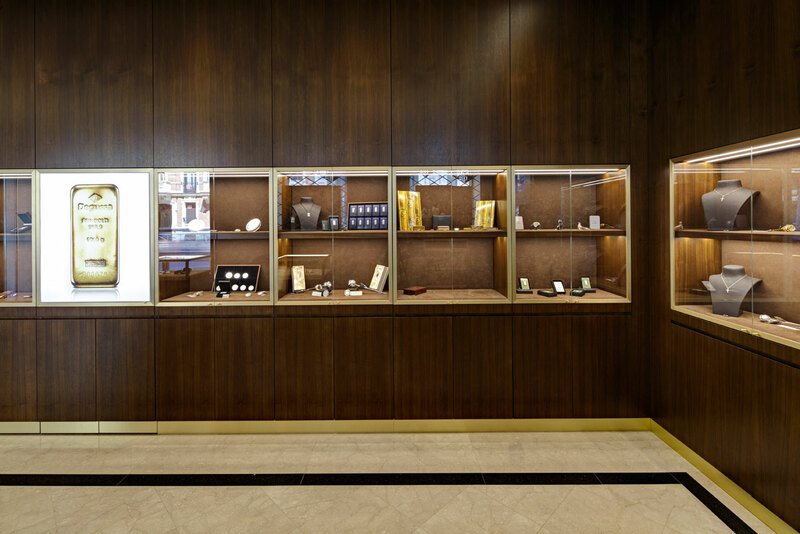 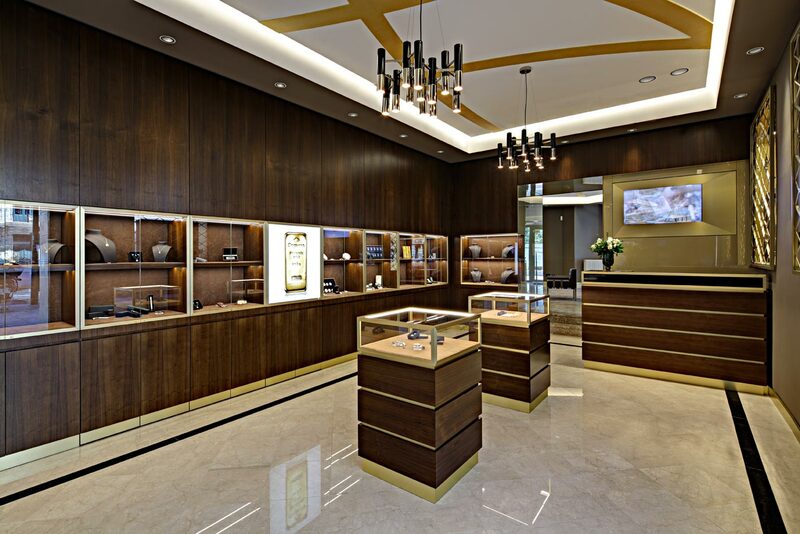 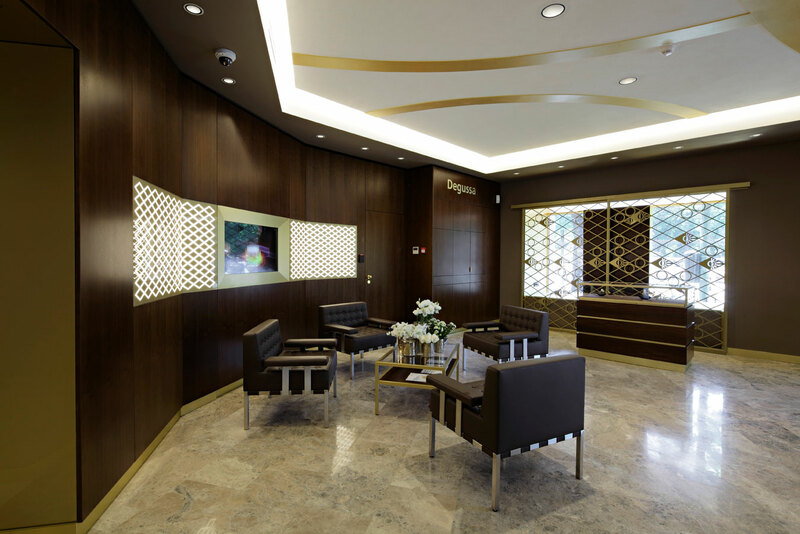 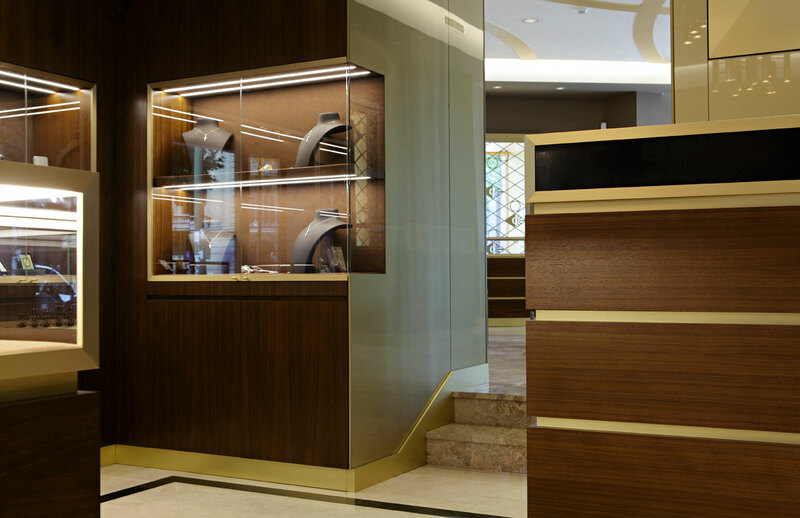 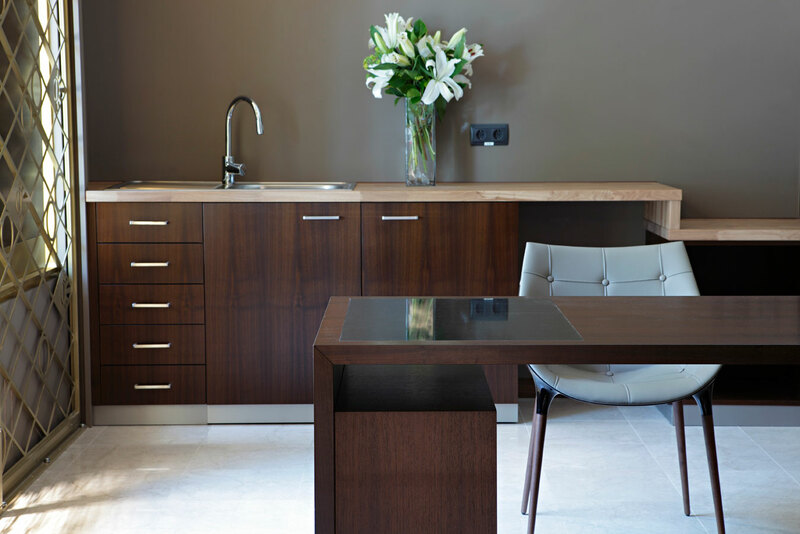 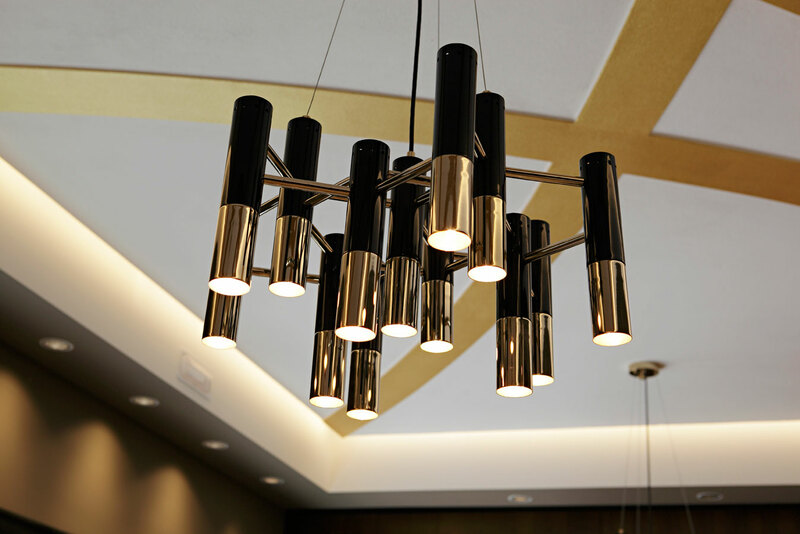 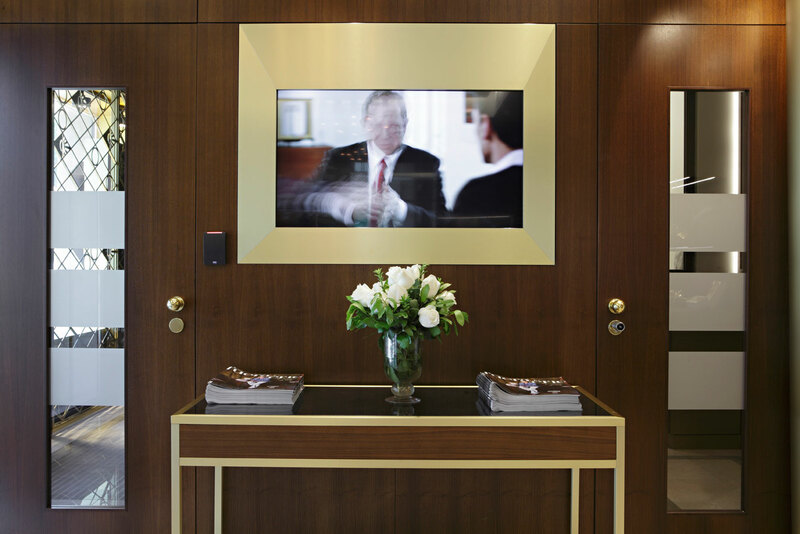 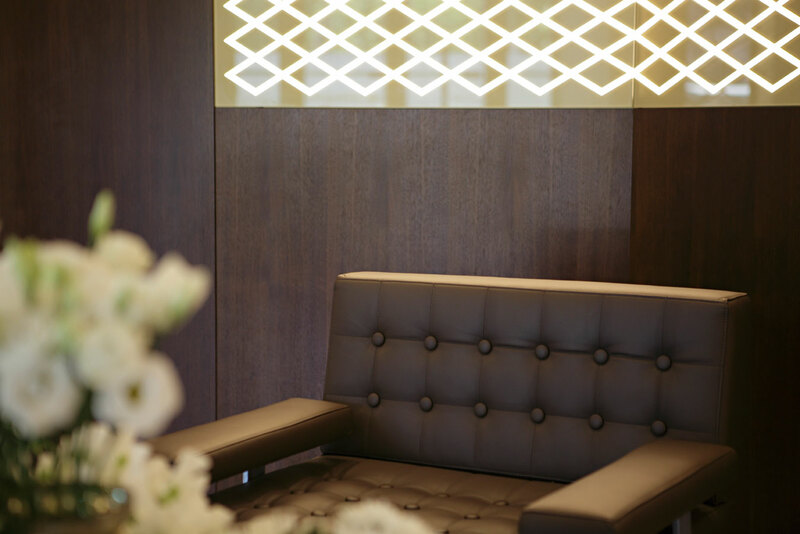 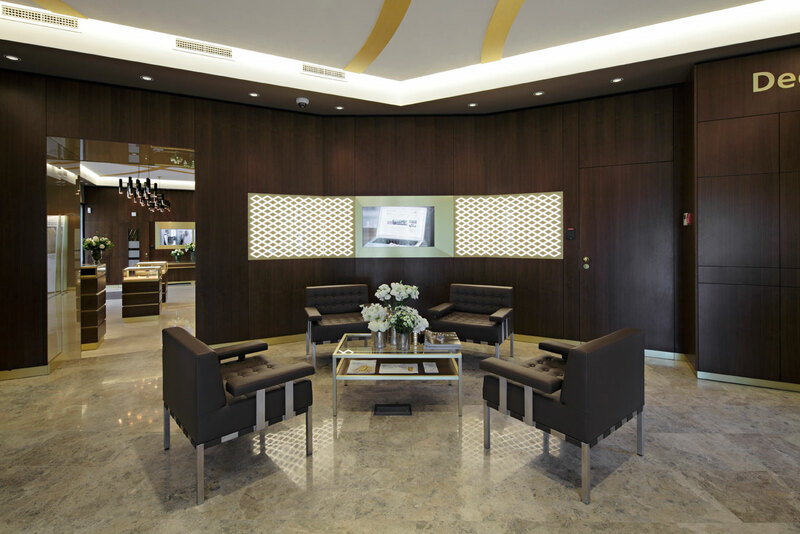 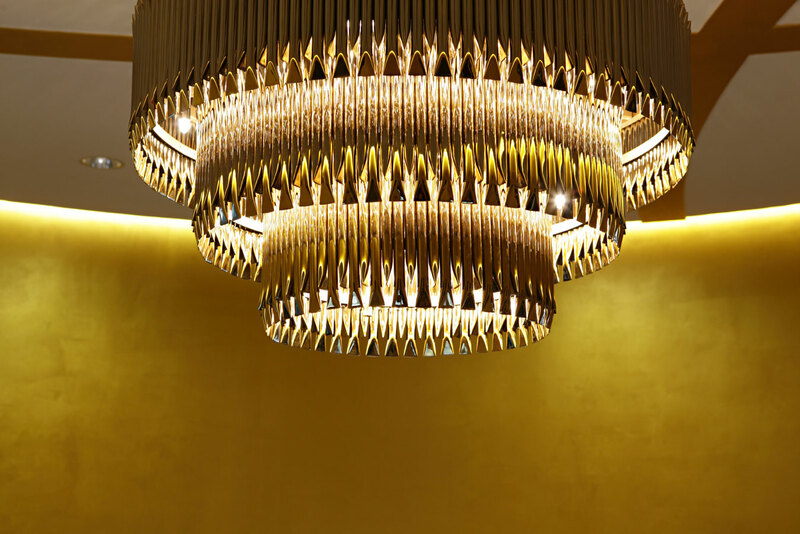 The high-end realisation of the ambience will give the purchase of precious metal items an suitable surrounding and every client the feeling of exclusivity.